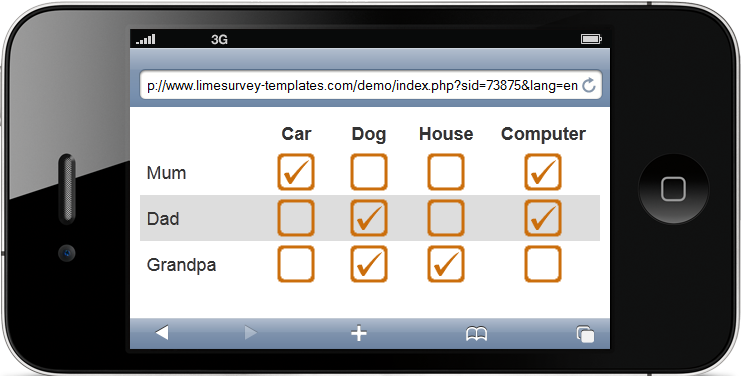 Designing your own survey is pretty easy when using Limesurvey. 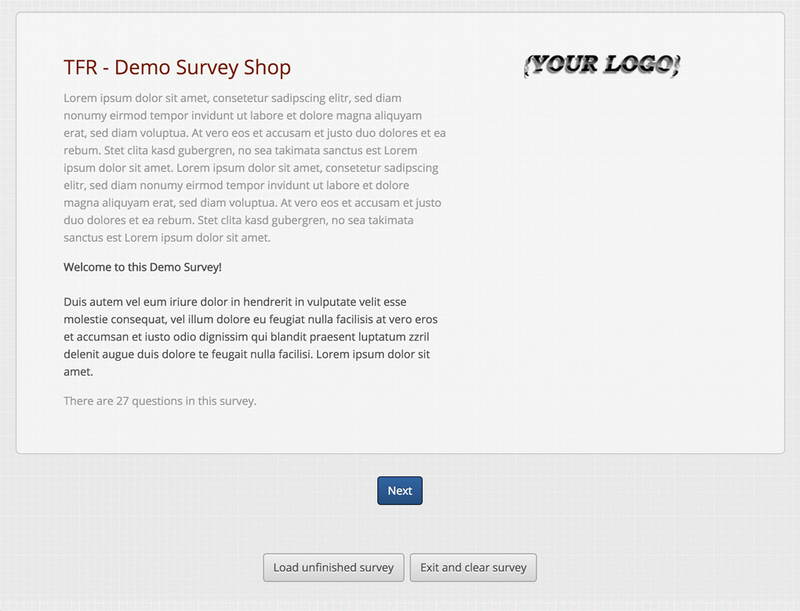 Unfortunately, creating a really bad survey is also pretty easy. 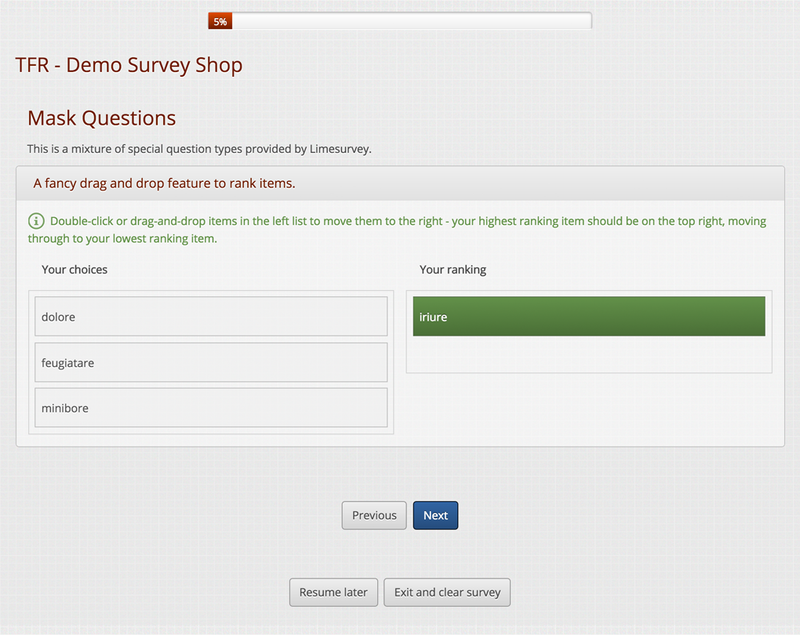 That’s why we have set up a list of survey design tips & tricks. Based on our experience with more then 100 survey projects per year the following recommendations hopefully help you designing better surveys. A user being presented with a simple “Please help me by filling out the survey, it will take 10-15 minutes.” will see no benefit in wasting his/her time with this. In such cases an incentive like “All users which fill out the survey completely will be allowed to take part in a lottery and can win one of 5 Amazon vouchers worth 20,00€.” can raise participation and completion rates significantly. A survey should never start with complex questions people have problems answering at all. Instead, place very simple questions like demographic questions at the beginning. Everyone can answer those and they present an easy introduction. Once people have started filling in simple data they tend to finishing their work and not closing a survey early. This may sound pretty obvious but for every question make sure it is clear and precise, collectively allowing for detailed, unambiguous and meaningful answers. Nothing is more annoying than having completed several questions asking for complex information and being told later that for certain reasons like your age or gender you were suddenly screened out and are not allowed to complete the survey and maybe receive a certain incentive. If users need to agree to certain terms and conditions or have to be of a certain age or gender you should always place such screen out questions at the beginning. 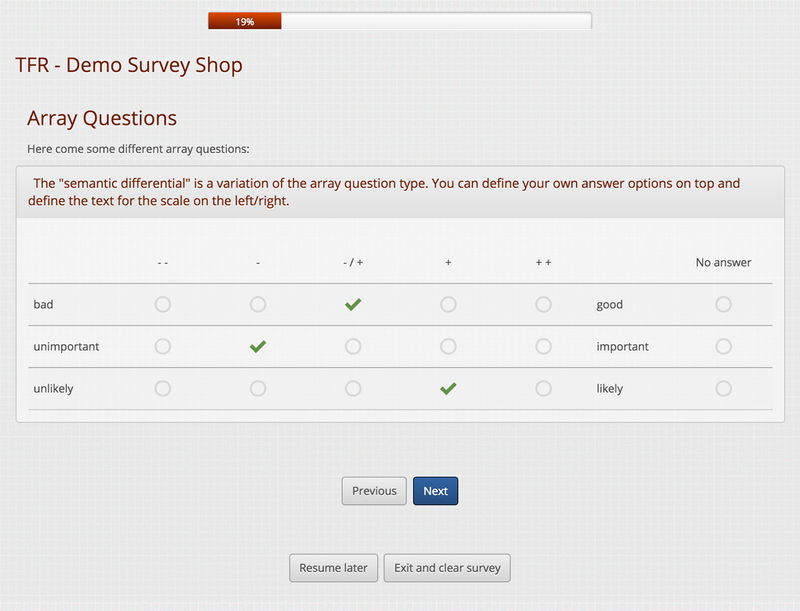 Similar to placing easy questions at the beginning you should place problematic questions (e.g. about illnesses) at the end. 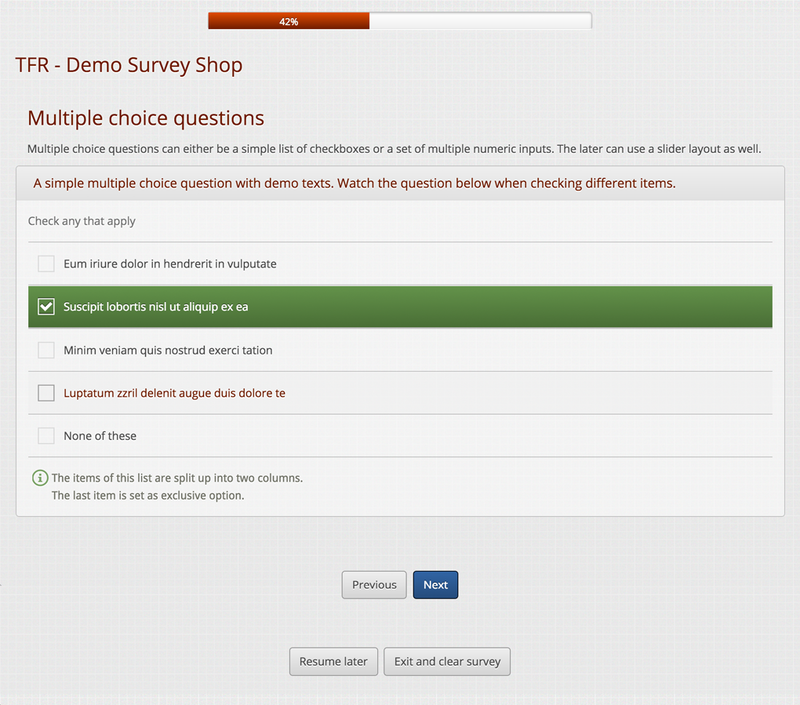 People having already completed 80% of your survey will most likely answer such questions as well. People tend to ask this and that instead of focusing on the really important questions only. Always make sure a certain question is really important. The less questions the higher the completion rate! Open questions may reveal unexpected and very worthy additional information. 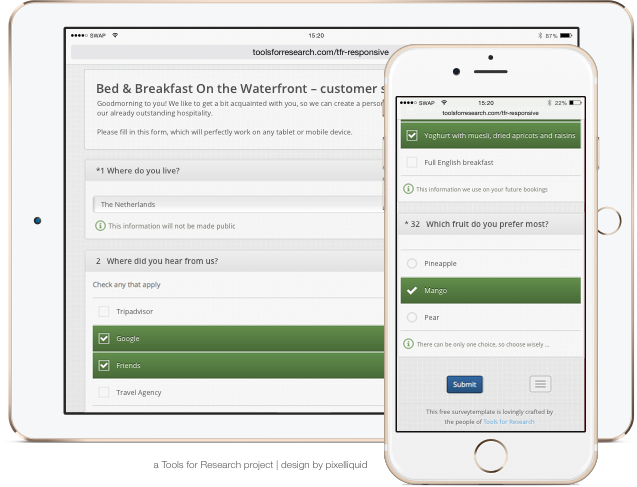 You should add optional text questions at all important parts of the survey, asking users “Is there anything else you want to tell us about XYZ?”. This may lead to important user feedback you would not have received when using closed questions only. 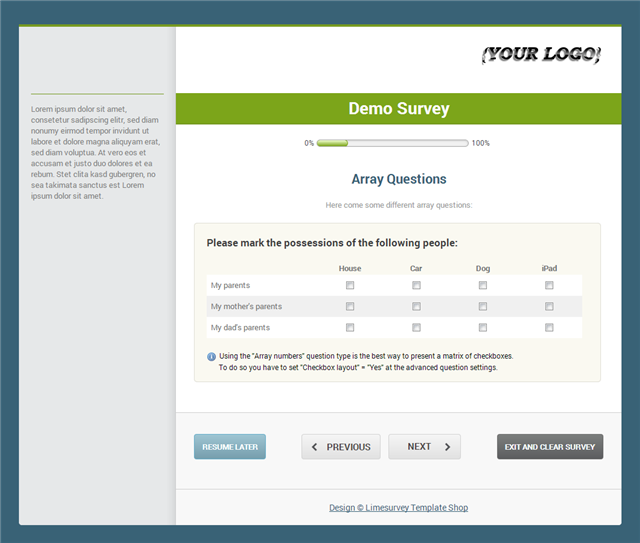 Asking users “What is your opinion about XYZ?” uses neutral speech while a question like “Don’t you agree that LimeSurvey is a really great tool?” is a very suggestive question which will cause users give a more positive feedback. Having to complete a survey at which each question is mandatory can be really painful, especially when it comes to complex matrix questions. 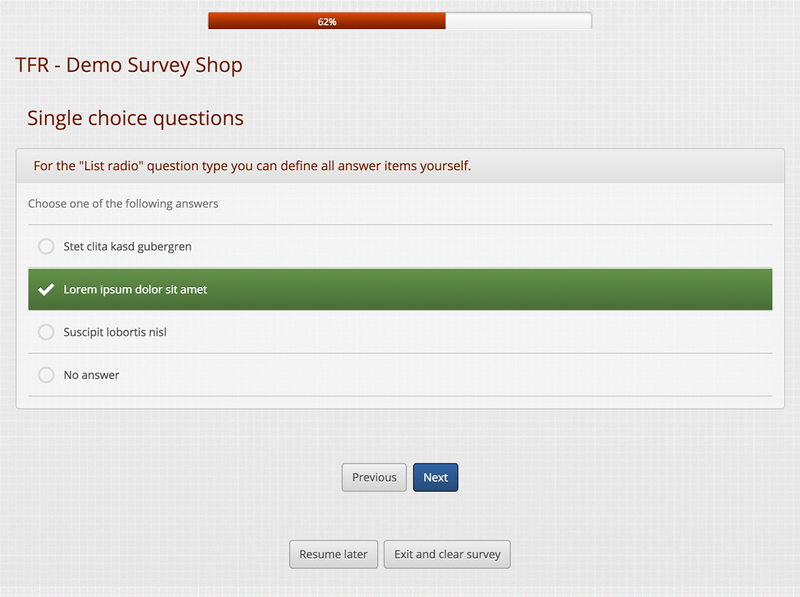 When designing a survey you always need to ask yourself “Is this question important enough to make it mandatory?”. Only the questions related to data you really need should be mandatory. 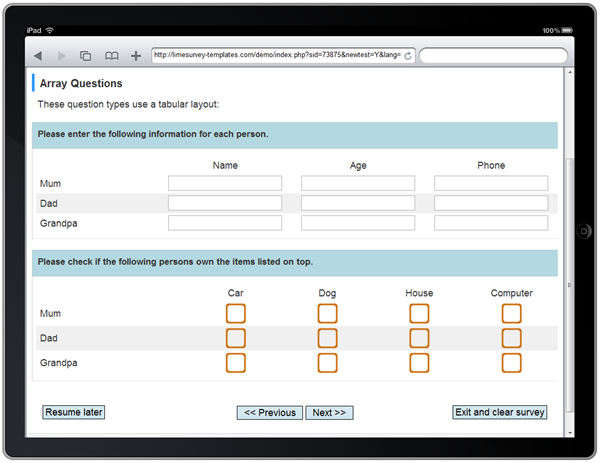 BTW, if you are not very familiar with designing surveys but need to create an important one, we can help with that. 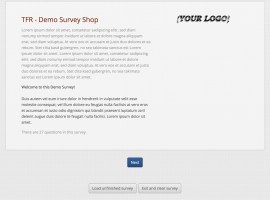 Our experience can help you creating a great survey with a high completion rate. 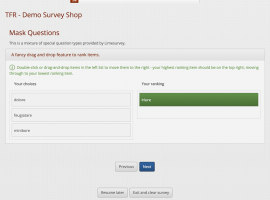 Just drop us a note if we should review your survey or set it up for you.